Our sister site, ComingSoon, recently shared a feature about 6 Potential Ways The Walking Dead Could End, but it seems that AMC has other plans in mind. If the network has its way, The Walking Dead will have at least another ten years to explore the zombie apocalypse. Via The Hollywood Reporter, AMC Networks CEO Josh Sapan said “The Walking Dead is a universe…and we have a plan to manage over the next decade, plus. That plan is a careful plan to respect the world of the fans of that world.” The report notes that Sapan Fear the Walking Dead as an example of the extended franchise beyond the parent show. Can The Walking Dead be stretched out for another ten years? Sure, but the real question is whether it should be. While Robert Kirkman’s comic book series still has years worth of stories to explore, there is the real possibility that the show won’t last long enough to get to them all. Additionally, the impending departures of Andrew Lincoln and Lauren Cohan will also force the creative team to veer off from the comic’s path. 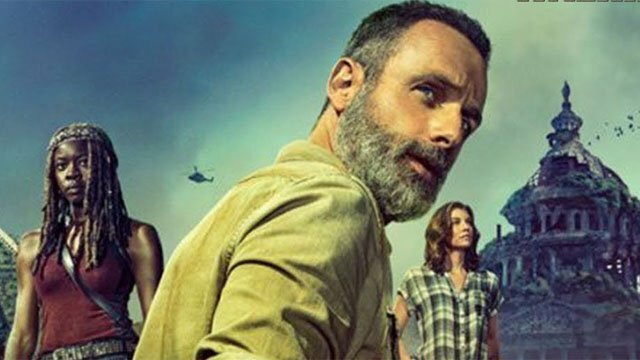 The Walking Dead season 9 is going to be the first real test of whether the series can go on without Rick and Maggie. Assuming a renewal for season 10, we may not get a real sense of the show’s long term prospects until next year. The show’s falling ratings suggest that there may already be some Walking Dead fatigue. However, it remains one of the most popular shows on cable. Fear the Walking Dead is also facing significantly diminished ratings. Do you think The Walking Dead can last for another decade or more? Let us know in the comment section below!